CGM Home Builders creates artwork to live in, not homes. 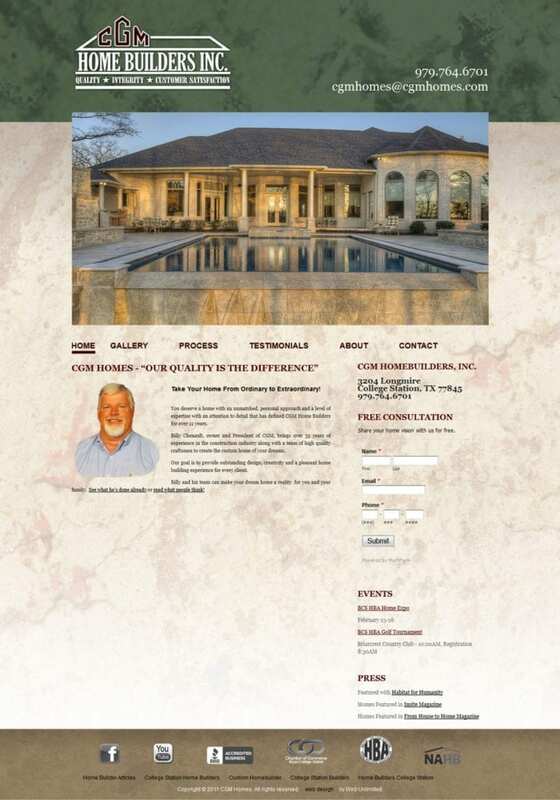 Truly skilled at their craft, CGM Home Builders creates some of Texas’ finest homes. CGM Homes routinely completes projects for some of the most influential individuals in the Texas A&M University community. Featured numerous times in the press, CGM Home Builders has won awards and recognition from Habitat for Humanity, Insite Magazine, and From House to Home Magazine.